The 2017 season is sure off to an amazing start. As has been the case for the past number of years, it seems that every tournament goes down to the very last hole, or results in a playoff. Congratulations go out to Brittany Lincicome who won the Pure Silk LPGA Bahamas Classic, the first tournament of the year, in (of course) a playoff! Nelly Korda shot -21 under par in her first tournament as an LPGA member (5th place). Laura Gonzalez Escallon shot a score of -18 (9th place). Mel Reid -15 (13th place). Nelly Korda shot a remarkable score of 21 under par in her first tournament as an LPGA member. Last year was a very difficult one for LPGA rookies. Only 6 of 29 rookies finished in the top 100 on the year money list. Three more retained their playing privileges by way of their stellar Symetra tour play. This was a dramatic decrease from 2015 when we had a spectacular rookie crop, but also down substantially from 2014. Is this year's rookie crop better than the 2016 group? Yes, I think so. Can it be as good as the 2015 group? No. That was a record breaking year, and we never see another group like that one in our lifetime. But that doesn't mean that this year's group can't still be among the best in recent years. Let's take a look: (Everything written below was put together before the Pure Silk LPGA Classic was played. I did not want to change anything based on the results in the Bahamas, as I wanted this to reflect my original thoughts before the start of the season). 1- Sung Hyun Park - By far and away the favorite to win the 2017 Rolex Rookie of the Year Award. At the age of 23, she is a rookie in name only. 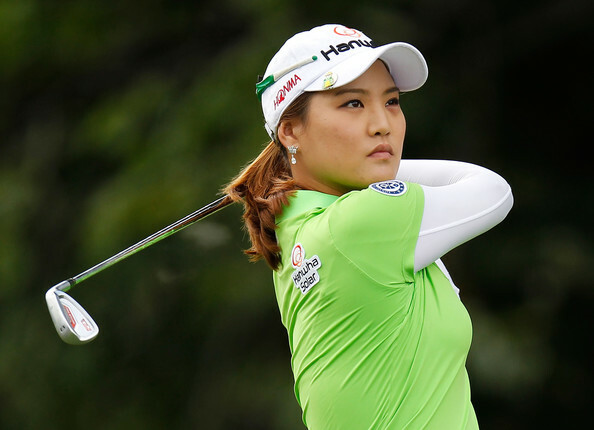 She has already had 8 starts on the LPGA tour, with four top five finishes, five top tens, and 7 top twenties. She has not missed a single cut. She was a winner 7 times on the KLPGA in 2016. 2- Madelene Sagstrom - Broke every conceivable record on the Symetra tour last year. 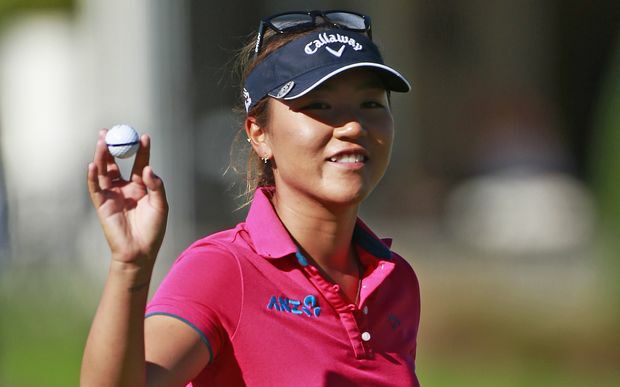 She was the first player to make $100,000 in earnings in tour history, earning $161,064. She did it playing in just 15 events, winning 3 times, and had 11 top ten finishes. She was the 2016 Player of the Year and Rookie of the Year. She also finished #1 in Q-School in Europe, which means she qualifies for the L.E.T. also. Played 2 tournaments on the LPGA tour last year (The U.S. Women's, and Canadian Opens) and easily made the cut in both. A real bomber off the tee, she led the Symetra tour with a driving average of 278 yards (that is one more yard than Lexi Thompson averaged on the LPGA). 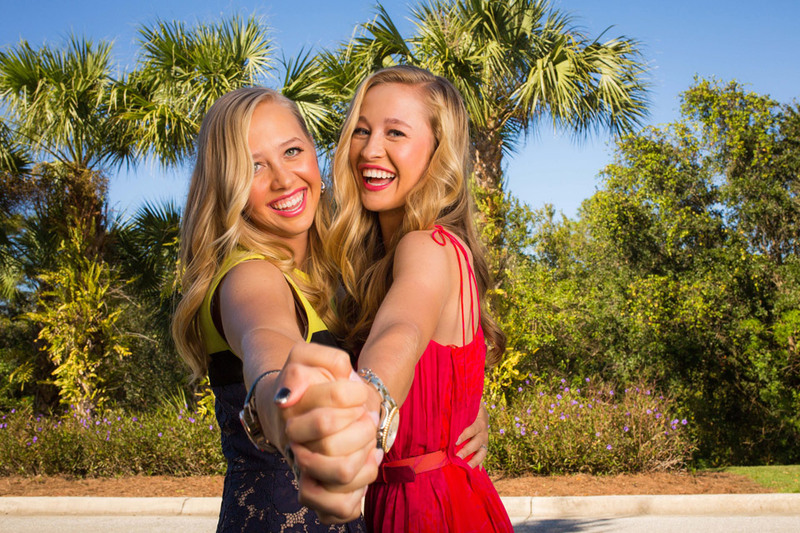 3- Nelly Korda - With a sister (Jessica) who has 4 LPGA victories, and parents that were tennis pros (her father Petr won the Australian Open), she probably gets put here by her name alone. Don't underestimate her though. The 18 year old got off to a miserable start on the Symetra tour the first 2/3 of the season, but then became the hottest player this side of Madelene Sagstrom. She reeled off 7 top tens, including one victory, to sneak into 9th place on that tour's money list and avoid Q-School. She qualified and made the cut last year at the U.S. Women's Open. Her category 10 playing card will guarantee her starts in all full field events. 4- Aditi Oshok - It starts to get a bit tougher now to predict, as nobody else is as clear cut as the players listed above. Aditi represented India in the 2016 Olympic games. At just 18 years of age, she has already tasted victory, winning the last two events on LET in 2016. She finished outside the top 20 in the final stage of Q-School (24th), resulting in her receiving category 17 playing privileges (top 20 finishes received category 12 cards and can play in all full field events). With a priority ranking of #156, she will have to take advantage of her early opportunities and improve that ranking with the first priority list reshuffle. 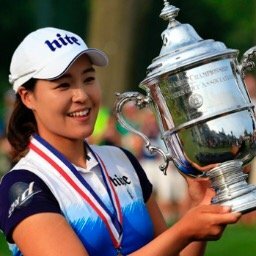 5- Nasa Hataoka - If you believe all the hype about this 17 year old from Japan, then she may be the next Lydia Ko. She does have quite a resume of success for a player of her age. She won the 2016 Japan Women's Open Championship, becoming the first amateur and youngest champion to win a major tournament on the Japan LPGA (JLPGA). She finished 14th in the final stage of Q-School, and has earned full playing privileges with her category 12 playing card. 6- Mel Reid - At 30 years old, she is already a seasoned veteran. A longtime LET player (and Solheim Cup participant), she has 5 wins and 49 top ten finishes on that tour. She was the 2008 LET Rookie of the Year. Made some noise with her 9th place finish at the 2015 Ricoh Women's British Open. She finished 8th in final stage of Q-School and earned her category 12 card. A solid, if not spectacular player, look for her to play well in 2017. 7- Nicole Broch Larsen - This 23 year old represented Denmark in the 2016 Olympic games. She has appeared in 6 LPGA events with 4 top 25 finishes. She was the 2015 LET player of the year. With a category 17 playing card, and a priority ranking of 161, she will have to make the most of her early season chances to improve thank ranking with the first reshuffle to get into more tournaments. 8- Olafia Kristinsdottir - This 24 year old is the first player from Iceland to play on the LPGA tour. She finished 2nd (behind Jaye Marie Green) at the 2016 LPGA final Q-School. She will get plenty of opportunities with her Category 12 playing privileges. 9- Emily Pedersen - Emily was the 2015 Rookie of the Year on the LET. The 20 year has one win and 10 top ten finishes on that tour. She impressed many last year when she finished 14th at the Evian Championship. Her 28th place finish at Q-school only earned her a category 17 playing card, so it won't be easy. 10- Bronte Law - This 21 year old won the 2016 European Ladies Amateur Championship, and became the #2 ranked player in the World Amateur Golf Rankings. She holds the UCLA record for most career wins with seven. Her 24th place finish at final round Q-School earned her category 17 playing privileges, and a priority ranking of #159. 11- Laura Gonzalez Escallon - This 26 year old from Belgium is a long shot pick. She spent 3 year's on the Symetra tour which usually doesn't translate into success on the LPGA. But she was the big 10 player of the year in 2012, and won twice last year on the Symetra tour. Another thing she has going for her is a solid #88 ranking on the LPGA priority list, which means she will be playing regularly all year long. A late bloomer? Maybe. A long shot? Certainly. 12- Mariah Stackhouse - Mariah finished 22nd at the LPGA final stage qualifying tournament, missing out on her category 12 playing privileges by just one stroke. The Category 17 card she earned means she will have to make the most of any early season opportunities. Her priority rating of #157 isn't that bad so she should get those opportunities. Mariah, 22, was a 3 time All American at Stanford University, where she helped lead the Cardinals to the 2015 National Championship. She also played on the victorious 2014 U.S. Curtis Cup Team. There you have it! My top rookie picks for 2017. There are 25 other rookies on the LPGA roster this year. Most of them will have to take advantage of limited playing time early in the season if they want to move up on the priority list. The LPGA has two priority list reshuffles during the season. Charley Hull was the only player in the top 35 of the LPGA priority list to miss the cut at the Pure Silk Bahamas LPGA Classic. Rookie Dana Finkelstein hit 100% of her fairways this week (28 for 28), and missed the cut. It was a solid showing for defending champion Hyo Joo Kim who shot the exact score that she shot last year. Unfortunately for her, it was only good enough for a 9th place tie. Brittany Lincicome leaps up from #48 to #33, while Pornanong Phatlum jumps up from #49 to #44. Outside the top 100, Nelly Korda catapults from # 338 to #249. Brittany Lincicome jumps out of the gate with 500 points. She is followed by Lexi Thompson with 300 and Stacy Lewis with 190. Hard to say. Seemed like all the players that ended the season playing well either skipped the Bahamas or didn't play well, and all of the players who weren't playing well last year played well this week. Long time fan favorites Paula Creamer, Yani Tseng, and Michelle Wie, ( all looking to make comebacks this year) all missed the cut. This week's Trivia Question: (for those who haven't seen it earlier in the week).